Our recommendation for the best garden tillers is the Sun Joe Electric Tiller and Cultivator, which is basically like having two helpful garden tools in one! Still, we researched and recommended a few other garden tillers that are excellent choices for a variety of gardening needs. Preparing your garden before planting can make or break your growing success. Most plants require fertile, aerated, healthy soil for optimal growing conditions. If you try to grow vegetables, fruits, or herbs in unprepared soil, you run a higher risk of plant infection, delayed or no growth, pests, and dead or wilting plants. None of these are what you want to see in your garden. A garden tiller is one of the most popular and helpful tools you can own to help prepare your garden area. But, is a garden tiller something you need? If you don’t have already-prepared garden beds, then a garden tiller can be absolutely imperative to your garden’s success. Imagine you moved into a new home and you want to prepare a new garden area. You know the exact, sunny locations that would be perfect for garden beds. However, the soil in your yard is dry and compacted, weed-ridden, and full of rocks and dead plant debris. You could use a shovel to dig out the areas you want to plant in, adding in compost or fertilizer, removing the rocks and weeds, and filling the area back in. Alternatively, you can save a lot of time and backaches with a garden tiller. Although the earliest garden tillers were large and hard to maneuver, they’ve become much more compact and manageable (source). A garden tiller has tines that dig into the soil to loosen it; all you need to do is push the tiller. The design of the tines and blades helps push soil to the side so it doesn’t clog the machine as you move it. You can also remove the rocks and dead plant debris from your garden with a garden tiller. Once the soil is loosened and moved, you can discard and replace it with fresh soil, or remove the unwanted materials by hand. What is the Difference Between a Garden Tiller and a Garden Cultivator? The term “garden tiller” is sometimes confused with “garden cultivator”. The two tools are similar, but there are key differences between them that gardeners should know. A garden tiller is usually larger and more powerful. This is because the garden tiller is for use on unprepared garden areas with heavily compacted soil. A garden cultivator, however, is meant for use on already-tilled gardens (source). 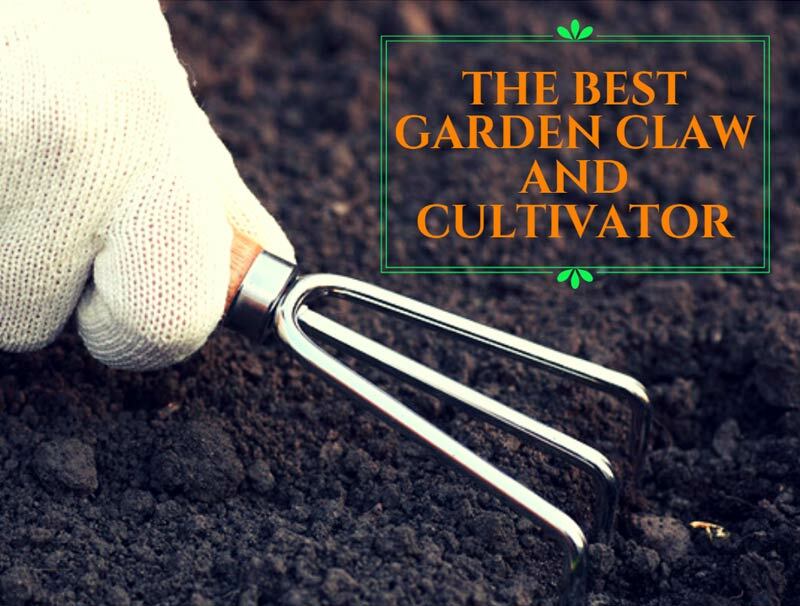 A garden cultivator is best for smaller garden areas that only need the top few inches of soil moved. This can allow air and nutrients into the soil to get to the roots of your plants. A garden tiller, in contrast, helps turn and loosen large areas of soil to prepare a garden for planting or add nutrients into the soil after the growing season is over. Not all gardeners need a garden tiller, so consider your garden area and soil before you purchase one. If you only have a small garden area, you may not need to make a large purchase for this gardening tool. Instead, consider using a shovel or a garden cultivator. If you’re a relaxed gardener with only a few things in mind to plant, you could also rent a garden tiller. Check your local hardware or rental store for garden tiller rentals if you think you can do the job within a few hours to a day. Any longer, and it could be just as cost-efficient for you to purchase your own (source). The best garden tiller for you and your garden depends on a few factors. How compacted is your soil? How large of an area do you need for your garden? How much effort can you physically put into pushing a garden tiller? Mini-tiller - These are comparable to garden cultivators in size and power. They are compact, easy to push, and best for small garden areas without heavily-compacted soil. Front-tined tiller - A front-tined tiller is accurately-named, with its tines in the front. These tend to be a bit larger and heavier than mini-tillers, but also have some extra power to dig up more heavily-compacted or rocky soil. Rear-tined tiller - A rear-tined tiller has its tines in the rear for digging up the largest garden areas with heavily-compacted soil. They also provide the most power to leave less physical work for you. Practice proper safety. Wear long pants and sleeves, gloves, thick boots, and protective eyewear to prevent flying debris from harming you. Remove large rocks before tilling. Tines can catch on large rocks or rock pieces and unexpectedly jerk you forward as you till (source). Have your compost or fertilizer ready. As you till sections of your garden, you can work in a compost or fertilizer, so have it prepared to do sections at a time. Again, the best garden tiller for you depends on your physical and gardening needs. However, the Sun Joe Electric Tiller and Cultivator is the all-around best garden tiller to meet the majority of gardener’s needs. Since it’s powerful enough to be a garden tiller, yet compact and lightweight enough as a garden cultivator, you’ll benefit from having two garden tools in one machine. It covers a wide area of 16 inches and will till up to 8 inches deep, so it works for a wide range of garden beds. Remember that a garden tiller can be as easy or difficult to maneuver as you want it to be. This electric garden tiller takes some of the physical stress off you, thanks to its 12-amp motor. Where other electric garden tillers tend to stay around 7 to 8 amps, the 12-amp motor in this tiller will help propel the machine through tough soil, for less physical exertion from you. Garden tillers can take up a lot of space in your storage area and be difficult to transport in your vehicle, if needed. Another handy feature of this particular garden tiller is its folding handle for easy transport and storage. Overall, the Sun Joe Electric Tiller and Cultivator is the best choice for most gardeners. This tool will help you prepare your garden with freshly-tilled soil, without any back-breaking labor involved.